Revealing the best of Connecticut through the lens of a camera, the written word, and curated content. Founded by professional photographer/photojournalist, Jim Fuhrmann, Connecticut Revealed ("CT Revealed") aims to 'reveal' the best of Connecticut through photography, informative articles, and curated content. From places to see, visit, and shop — to upcoming events and happenings throughout the state, CT Revealed aims to reveal the best Connecticut has to offer and to bring new and interesting parts of our communities to the forefront. 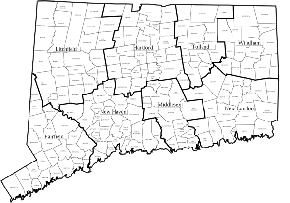 We invite you to visit this site often to view the latest visuals and information from around Connecticut. One highlight of this site is our real estate galleries where you can draw inspiration for your next home improvement and renovation project. Who knows, you might even find your next home waiting for you on one of our real estate listing pages. Click or tap here to view our Photo Galleries. Click or tap here to view our West Hartford real estate pages. Click or tap here to learn about our Photography Meetups. Click or tap here to view our Business & Professional Directory. Interested in booking our photographer for a photo shoot? Have a question or comment? Send us an email message via the contact form below or call us at 860-249-1341. You may also reach out to us through our Twitter channel.